He is talking about our first short excursion off our National Geographic/Lindblad Exploration expedition ship, the Explorer, where I am serving as a Grovesnor Teacher Fellow and he is a passenger. Zodiac boats carried us from the ship to Flatey Island, the largest island in the Breidafjordur Bay off the Western Coast of Iceland. 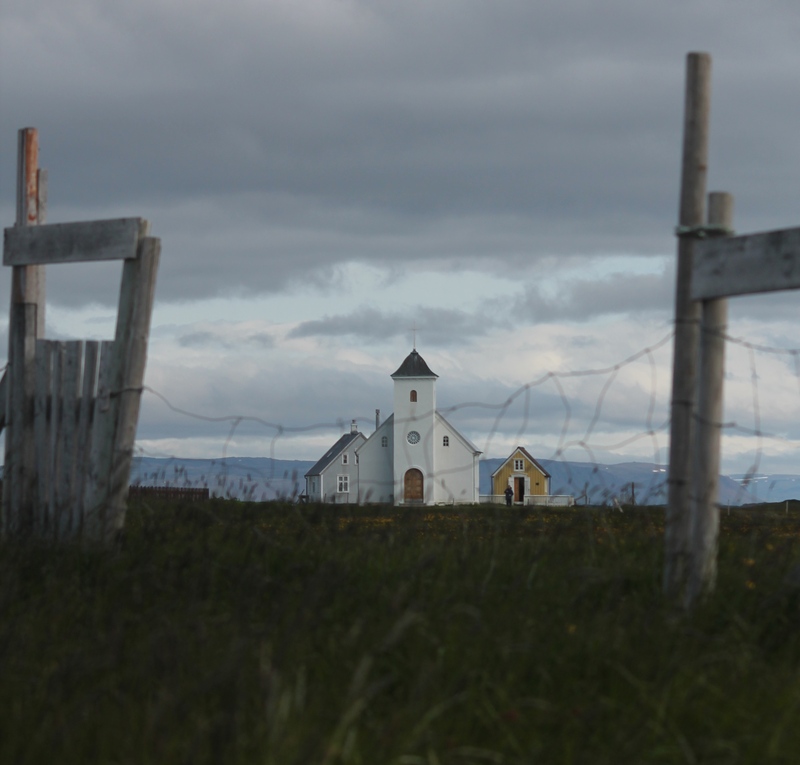 Flatey Island, once the cultural and educational mecca of Iceland due to its monastery and trading capacity in the Middle Ages, is now a small hamlet where five people live year round. Two kilometers long, its southern coast riddled with ghost boats, the island hosts a handful of small, colorful houses, an inn and a bar, a ferry pier, and a single dirt road that stretches from one end to the other. While unassuming in nature, with its rocky shore and long green grasses, I had to disagree with my dinner companion: I found the smallest details of this largely unvisited island—the curve of a piece of wood, the exclamation of a child, the landing of a puffin—to be entirely unforgettable. Once on shore, after a wet landing in which I was ever grateful for the Bogs and water pants that get me through my New Hampshire winter and springs, my roommate (another teacher fellow), Lily and I, set off to explore on our own. 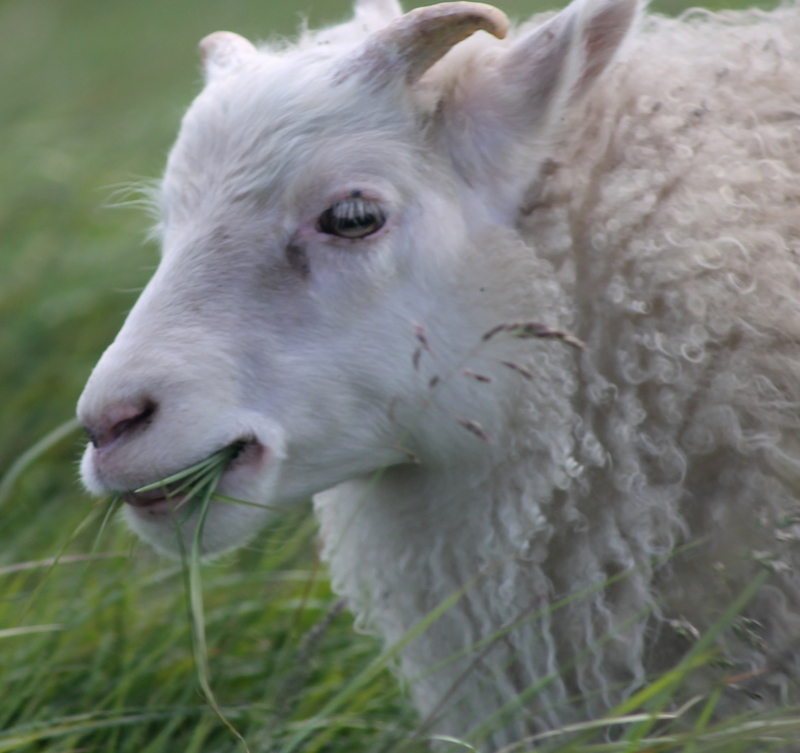 We sat in the tall, wind-blown grasses, next to a mother ewe and her babies, watching them eat, unfazed by our close proximity. As we wandered down the main road, we passed two elderly sisters in their backyard weaving fishing nets. They looked up at us, serious and intent, and their faces broke open in wide, friendly smiles. A teenager in a Mickey Mouse shirt pedaled madly by us. “Hi hi!” she called over her shoulder. Small children, dressed from head to toe in warm winter gear, carried fishing poles with their parents, celebrating their summer vacation getaway. Along the beaches, we discovered the ghost boats —their broken whale rib cages rotting in the salty air, textures of brown and red woods riddled with emerging nails, grasses growing in unexpected haunting crevices, lost stories of the sea settling into the surrounding rock. As we meandered from the beach up to the church, Arctic terns rained down up on my head, pecking at me, squawking furiously. Huddled, chased by the terns, I ran the rest of the way finding refuge in an old church where beautiful Icelandic murals covered the ceiling. Further up the road we watched two men climb over some barbed wire into a field where the protected nesting terns burst up out of the ground, flying in a cacophony of panic. One of the men carried a large fishing net. “I don’t think they’re supposed to be in there,” Lily whispered. “They’re upsetting the birds.” But as we looked around, not another soul was nearby to monitor. We paused in our careful steps through the uneven tufts of grass to watch closer. Eery silence blew through the wind. The man with the net placed something small in his net and held it in front of him. “Is he baiting the birds?” I whispered. Swarms of terns engulfed his space and as one bird entered the net, the man flipped it over and around his head, entrapping a bird helpless. Lily and I gasped. As I watched through my zoom lens, the man reached into the net to take the bird out. I held my breath—was he going to break its neck? But then he removed the bird, his motion smooth, disciplined, and gentle, and he placed a band on its leg. 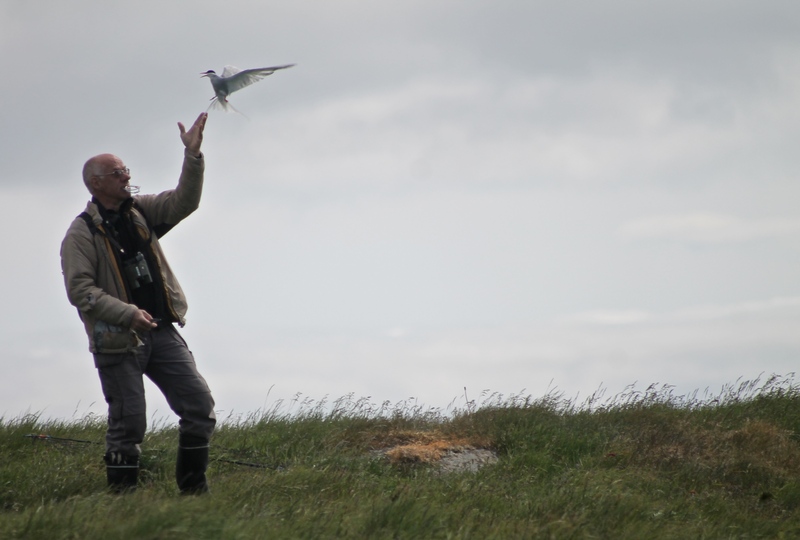 He was a scientist, studying the migration patterns and longevity of the Arctic tern. And then, as quickly as he caught the bird, he released it into the air, his arm raised, his face raised to the sky, a god releasing a dove. It was an utterly unforgettable moment. And this, while I quietly sipped my glass of wine at dinner, was what I wanted to tell my dinner companion: Do not be afraid to slip away by yourself and watch the land. Watch the people. Be still. Look for stories. And there will never be an entirely unforgettable moment. Couldn’t agree more Angie. You obviously know how to See, not just Look. Can’t wait to read more about this trip but will wait while your experiences percolate.